Some of the best award-winning shows in the recent years were from HBO. And more often than naught, there are some restrictions, for example, the show might get aired on HBO first, and then later on through other media channels, and even then, there might be a special cut that only the HBO audience might have access to. Game of thrones, Westworld, true detective, these are just some of the great shows from HBO and are streamed directly to HBO GO, their own streaming service, and unfortunately, HBO Australia is not yet a reality or the HBO subscription Australia. So, what can we do to have access to it and to watch HBO Australia? 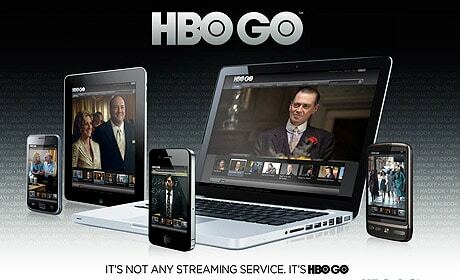 Well, there are two ways to get HBO GO in Australia. First one is through the use of a VPN service and secondly is through smart DNS service providers. How to get HBO in Australia via a VPN? VPN’s are a common thing nowadays; a lot of people have used them at some point in their lives. But if you have not, I’ll explain how they work, and what VPN’s are best suited for our particular problem. VPN’s are used in many offices and businesses because they are mostly used to protect your data and give you privacy from any prying eyes. How it works is that it sends your data to its own servers, and from there, its passed along to its original intended destination. That way if someone tried to track your location using your IP address, they will find the VPN servers location instead. Now, this little trick can also be used in our situation because if the data is rerouted from a server located in the region that is not blocked by HBO i.e USA, you can have access to it as well. 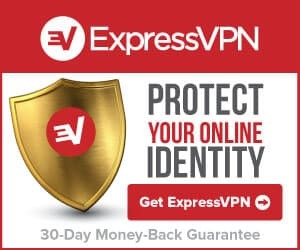 There are many good VPNs online, but ExpressVPN and IPVanish are the ones that are best suited to resolve our problem. First of all, comes with a full 30-day money back guarantee, so you don’t have to worry about anything. The Huge database has 136+ different locations in about 87 countries, and trust me, that’s a LOT of countries for any VPN. Supports multiple platforms like Windows, Mac, android and iOS. Simultaneous connections of up to 3 devices. 256-bit encryption protects your data all the time. Another big network, 700+ VPN servers in over 60 countries with 40,000+ shared IP’s to choose from. Extremely fast speeds, which is exactly what you need for streaming movies and shows in 4K. Allows use of BitTorrents as well, a very nice little addition. Extras like scramblers and IP cycles. The process is more or less the same with a smart DNS proxy as well. Because they are specifically used for streaming purposes, they don’t offer much in the security and privacy sector. But if you are just looking for something for HBO streaming Australia and watching HBO online without any extra benefits, Unlocator is your best choice. Does not require any software installation. You only have to configure your modem and device a little bit, and you’re set to go. In-depth step-by-step guides are provided on their website about all related subject matters. Again, no data is logged. Extremely fast speed, because your data is not rerouted from other servers, you can stream at your bandwidth’s full capacity. The 7-day free trial just makes an account and start using the service. Supports 219 different channels as of yet, so not only HBO, you will have access to many other sites as well. Compatible with all possible operating systems, as no software is required. Quite a few payment options are accepted, like PayPal. 14-day full money back guarantees. Much cheaper than VPN’s, but also doesn’t provide as many features. So, if you’re looking for something that has a bit of everything and more long term, then one of the above-mentioned VPN’s are best suited to watch HBO in Australia. But for streaming only, for a smart DNS proxy service. Only through them can you have an HBO store Australia or HBO go subscription.